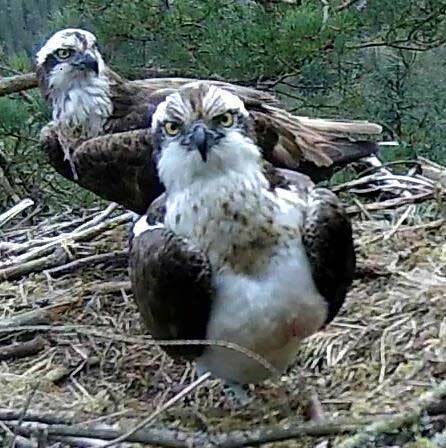 Kailzie Gardens is a major partner in the highly successful Tweed Valley Osprey Project, alongside the Forestry Commission Scotland. 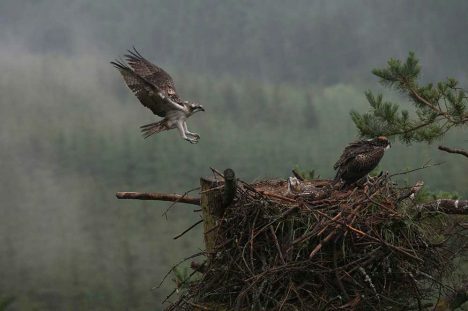 This project has helped attract and protect these rare and beautiful birds of the prey in the Borders after an absence of more than 100 years. For these specialist fish hunting raptors our quiet forests, lochs and rivers are ideal habitat. 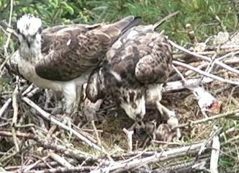 These birds are now well established in the Tweed Valley Forest Park, and in 2008 the Ospreys had their most successful breeding season ever in our area with a total of 18 chicks born to 8 breeding pairs. 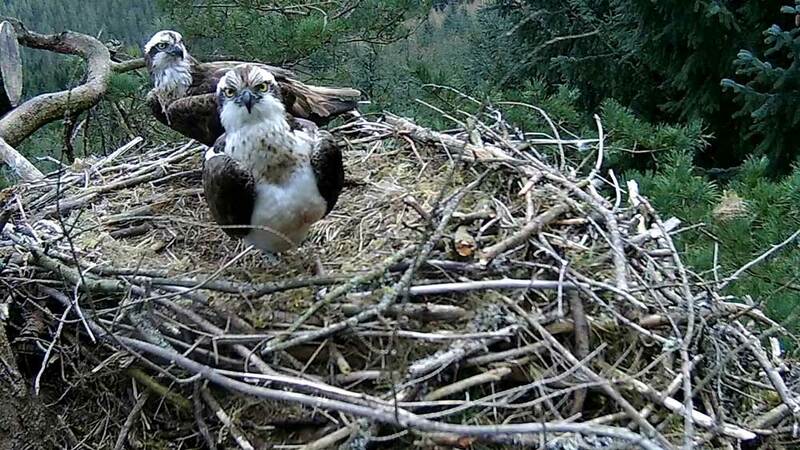 To provide the public with spectacular and intimate viewing of these birds, cameras have been set up on the nest high in the forest canopy. This allows us reveal the family life of the birds without them being disturbed and to monitor and study their behavior and welfare. You can follow their progress live on camera from Easter until the end of August, along with many other smaller species on live nest camera screens. The Kailzie Nature Centre also features information about other local wildlife, walks and nature activities for children. Cost £1.50 per adult, children free but MUST be accompanied. Summer - End of March to end of October, Walled and Wild Gardens, Woodland Walks, 10a.m. - 5.00p.m. Winter - End of October to March, Wild Garden and Woodland Walks during daylight hours. Please note that although the Woodland and Wild Garden are open for walks the Walled garden is closed during the winter months. Dogs allowed if kept on a lead. 10am -4pm, 6 days a week, Monday – Sunday. Call 01721 722807 to make reservations. Copyright © 2019 Kailzie Gardens. Powered by WordPress. Theme: Accelerate by ThemeGrill.